If there’s one thing I can’t get enough of when it comes to leadership and communication, it’s strategies that work, best practices, and life lessons. I guess I’m like everyone in that I’m looking for the “secret sauce” or any short cuts I – or my clients – can use. No matter what the topic or the issue, I love learning, and consider myself as much of a student as teacher and coach. We’re fortunate at The Grossman Group to work with some of the best minds in the business, and have the privilege of helping really smart people during their defining moments – whether large or small. I’m able to see what’s possible, and revel with our clients when it’s achieved. I also see when efforts come close but fall short for various reasons. There’s a big difference between vague theories of how communication should work or how people should think and how things really do work, and I appreciate real-world understanding and knowledge. The lessons I’ve had throughout my career have been indispensable. I’ve always tried to keep that perspective in mind when writing for the leadercommunicator blog. What are the posts that my clients would want to read? What are the challenges they have, and how are they addressing them? Aren’t we all always looking for practical new tools for our communication toolboxes, so that whether we’re facing a challenge for the first—or fifteenth—time, we have new ideas and solutions for tackling them? It seemed like a good time to look through individual posts to discover what worked (and what didn’t). In doing that, we discovered something really affirming: Hands down, the most popular posts have been those that give specific guidance on what to do or how to do it. All of you are just as hungry for practical advice as I am! 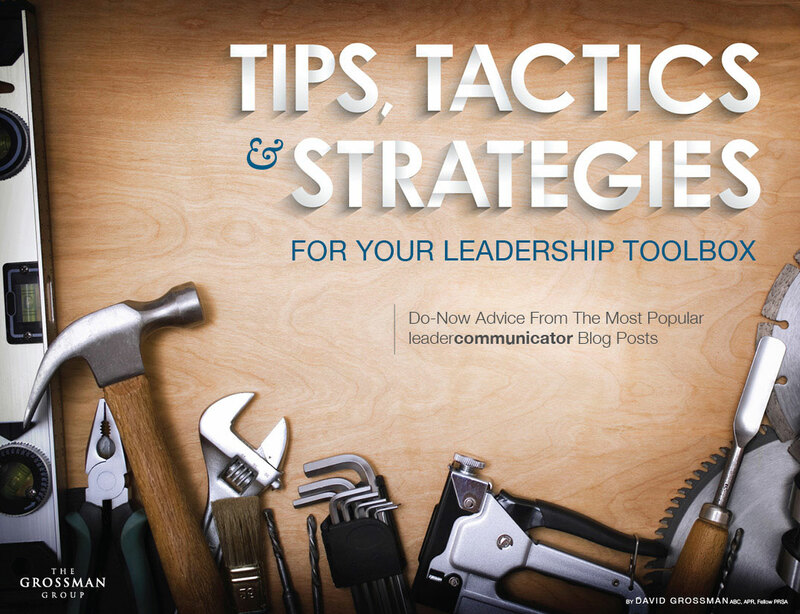 So…in the spirit of making your lives a little easier and getting communication off to great start this year, I’ve collected the most popular posts—and all their actionable tips, tactics, and strategies—into a single free ebook reference toolbox. Download it now!